These Light Up Serving Trays are the coolest serving trays for your bar, restaurant, or night club. 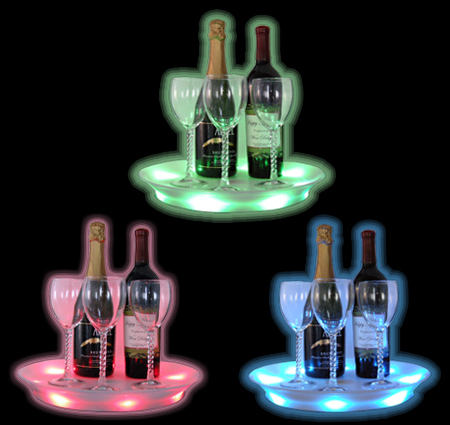 The entire frosty rim of these serving trays lights up with Red, Blue, and Green LED. Serving Tray Lights slowly change color or can be stopped on any color. Measures 14" in diameter. Requires 3 Double A Batteries ("AA"), Not Included. For additional information on our Light Up Ice Buckets and other Bar Supplies, please contact us at 1-800-233-0828.